It has been quite magical not having to hustle and bustle around because of some impending deadline. I am finally allowing myself to fall asleep on the sofa without a care or a worry of having to get up and finish something. Last night, I fell asleep half way through Monday Night Football and because it wasn’t the Broncos, I continued to sleep. I only got up on my husband’s insistence that I couldn’t sleep out there all night and stumbled upstairs to my own bed. The fog seems to have lifted from the dark recesses of my mind as well. The glowing embers of what were once my creativity and inspiration have been fanned into life and the flame is beginning to burn bright once again. I will capitalise on this rejuvenated spirit lest it flicker and die away. The last few months have taken my energy, there is no doubt, but it only takes a few days of a clear and rested mind to be fully recharged again. I love my job and I love the flexibility and the freedom I have to create at will. I love the camaraderie and support of the people I work with and the lip smacking of the clients who try my creations and the sunny, smiles of the excited kids biting into a warm, gooey cookie. But I won’t lie, all the praise and compliments in the world can only keep you on an adrenaline high for so long! That’s why, this last week has been pure heaven. After the major Thanksgiving production was over, we celebrated the birthdays of my two daughters who were born a day apart, We ate out, we ate too much, we shopped, we slept in late, we lounged around in our pyjamas; it was what I needed. A moment to do nothing. The funny thing about doing nothing is soon you begin to crave doing something. My something has always been a mind that’s constantly in flux; whirring, scurrying, restless and impatient. Of late, the thoughts have been a lot about life, and food and how to implement these thoughts into a productive life and creative food. Well, I still have to work but because I have my thoughts and my inspiration back, I’m looking forward to going to work on Saturday. I am looking forward to getting my hands dirty in the kitchen over the next few weeks and then getting busy on the computer telling you all about it. Or I may just have another cup of coffee and linger by the window seat a bit longer. 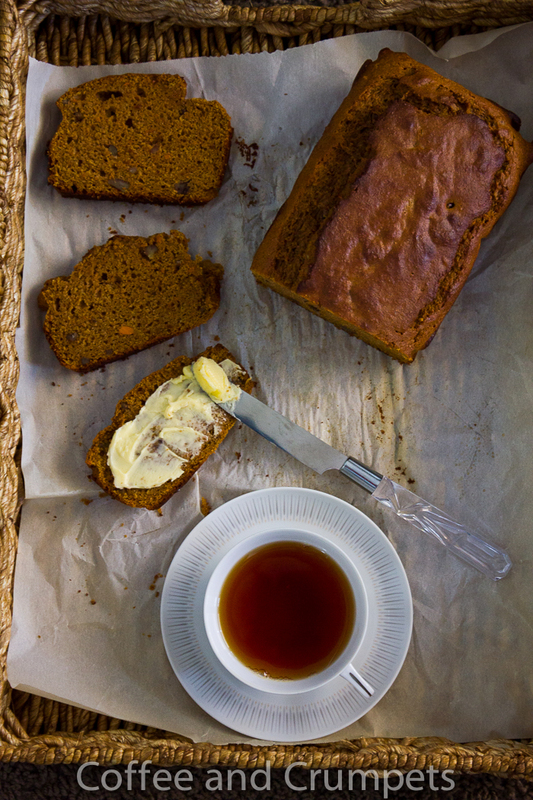 Talking about having coffee, this Sweet Potato Tea Bread, goes perfectly with a steaming cup of tea or coffee. I made this with the leftover sweet potato casserole from Thanksgiving. I think I made almost 6 pounds of the stuff and though we finished most of it, there was a bit left; great for experimenting. If you have leftover sweet potato to repurpose, make this! This bread lasted a day, it’s SO good. The casserole I make is my husband’s family’s recipe; a Southern style with a pecan streusel on top. Deliciously and conveniently, the pecans were also included in the bread. 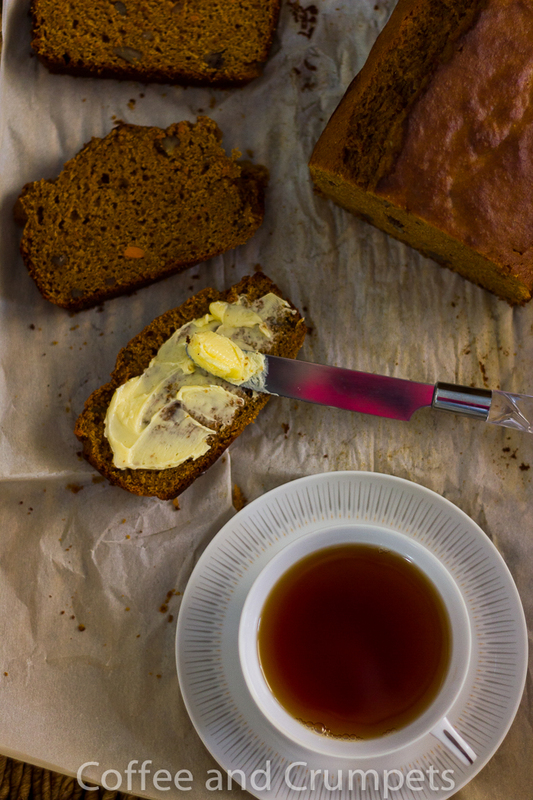 The recipe below is for the version with the sweet potato casserole, so if you make some for Christmas, you can conveniently make this tea bread for Boxing Day or the New Year’s. I have also included, in the notes section, the amounts needed for making this from fresh, roasted sweet potatoes. A moist and delicious bread made with leftover sweet potato casserole is perfect with tea or coffee. Grease or line with paper a medium size loaf pan. Mix the flours, baking powder, salt and cinnamon together in a bowl. In another large bowl, add the leftover sweet potato casserole. Mix in the brown sugar, the eggs, oil and vanilla. Add the flour mixture to the sweet potato mixture and mix. Add ¼ cup milk to loosen up the mixture. Add the remaining ¼ cup milk if the mixture still looks to dry or thick. The mixture should be medium consistency, like a thick pancake batter. I always need more liquid because it's really dry in Colorado. Check to see if it has risen and has browned on the outside and a toothpick comes out clean when inserted into the middle of the loaf. Allow to cool on a rack for 10 minutes and then remove from pan and cool all the way. If you don't have leftover sweet potato casserole, you can still make this delicious bread using fresh roasted sweet potatoes or tinned sweet potatoes (drained) Use the following ingredient amounts and follow the instructions above. Reduce the baking powder to 2 teaspoons. 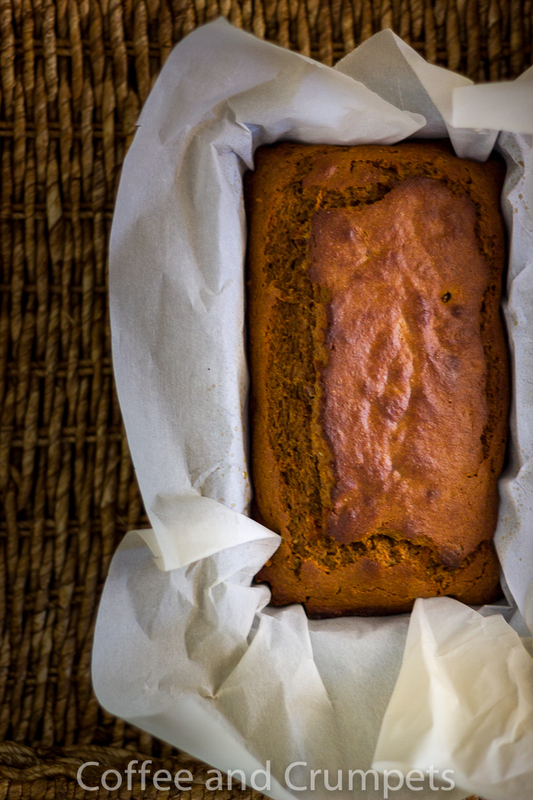 As a fan of sweet potatoes, I’d be thrilled to gobble this scrumptious bread. This sweet potato bread sounds awesome and I will be trying it for sure. This past Thanksgiving I added sweet potatoes to my pumpkin pie and it was the best ever, so I’m very open to anything with sweet potatoes. 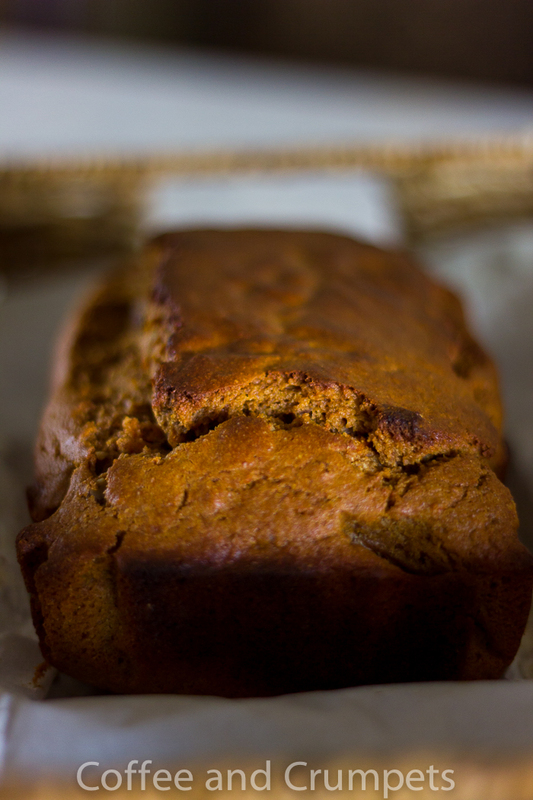 Nazneen – this bread -with it’s two cups of sweet potato casserole- is pure decadence! I think I could eat this with or without a cup of coffee! So glad you have had a chance to re-energize! It is so necessary in order to be able to be creative and I have the same experience, after doing nothing…I must do something. The recipe looks like a winner and perfect for this time of year. Loving your blog…btw! love sweet potaotes and this bread looks wonderful. Great idea to use the sweet potato casserole in the bread! Looks delicious! 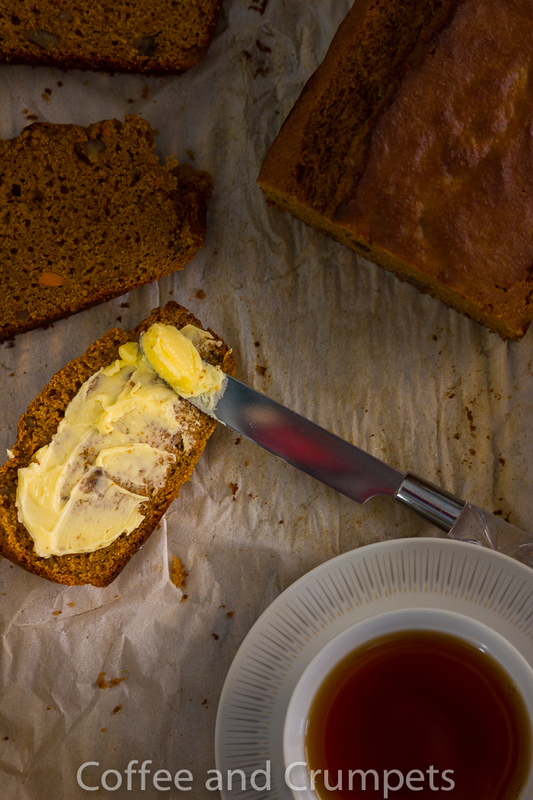 Hi Nazneen, love your sweet potato tea bread, the color is gorgeous and I bet the flavor was amazing. Good for you, taking care of yourself with a few days off, so important! A lovely hearty bread! Just the right thing for a bowl of steaming hot cheesy cauliflower soup! Your writing is so enjoyable. Happy belated birthday to your dearies. Hope they enjoyed. Who doesn’t love a sofa nap, it’s the best., and this bread looks pretty. I’ve found a new love , sweet potato. You’ve just given me an idea. This bread looks so so good Love the photos as well! That looks so delicious! 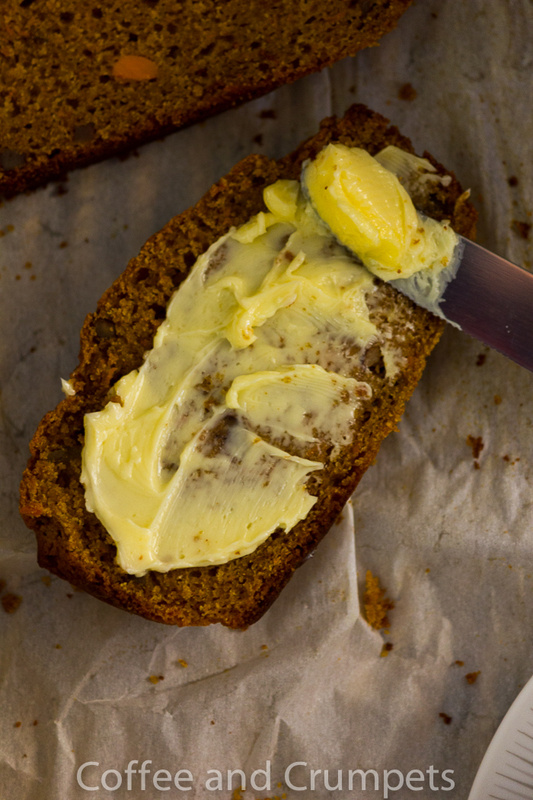 I’ve never had sweet potato or potato bread before but I have had banana bread and it tastes decadent with some creamy coffee. I’d love to try this recipe one day! Sheema recently posted..What’s so terroristic about that? This is a great bread, very moist because of the sweet potatoes. Im sure you’ll like it. Ansh recently posted..Pumpkin Roll – Let’s do pumpkin a little differently! This is a wonderful recipe for leftovers. I like that you’ve used spelt wheat in it, it is a much healthier alt. to the all purpose one, Thanks Nazneen and happy to see you relaxing again. Thank you, Amira. The spelt was great in this, made the bread really soft and tender. It was really good! Glad your energy level is returning, as well as joie de vivre! We all go through down periods, glad to see you’re on an upswing. And glad to see this sweet potato bread! We love sweet potatoes in all forms, and this is a terrific recipe. Thanks. Thanks John! Om feeling quite revived of spirit and mind. Just needed some down time I think. Thank you for your comment! You’d like this bread if you like sweet potatoes, it’s really good! Beautiful bread, just perfect for a late fall tea break. Thanks Karen! Yes, it’s absolutely perfect for a fall tea break! Choc Chip Uru recently posted..Getting S’more Out Of Life + Giveaway! Wow, that looks good. I like that you can use up leftovers. The snow freaked me out at first, thought the computer had lost it. Glad you are finally getting rested up. I think the snow is cool 🙂 The bread was really good! I wish I could have this bread for my breakfast tomorrow. I wish you were my neighbour then I would send you some! This looks quite delicious and is a sweet potato dish I know I will love. I can assure you that I will never have leftover casserole because that is the one thing I can’t abide. (Yes, if I were at your home and you served it, I would eat it! 🙂 And I know I won’t be making sweet potato casserole, so thanks for your recipe to start from scratch! David recently posted..What Shall We Make? You are funny, David. I’m surprised you don’t like the casserole, it’s not bad. I’m not a “casserole” person, didn’t grow up with them, and hardly make thme at home, but I make this one! This sounds right up my street, Mazneen. Not sure about my wife’s though. She’s not big into wholesome things, but me, defo. Definitely a mid afternoon with a cup of tea thing. David Crichton recently posted..Does anybody know what these are? Oh, it’s so good with a cup of tea! I think if we don’t tell your wife what’s in it, she’ll really enjoy it because you can’t taste the whole wheat only sweetness from the potatoes. I think she’d like it! So glad to read that you’re feeling so much more rested and invigorated, Nazneen. Sometimes a day or 2 of doing nothing is just what the body needs to recharge. The key if finding the time for doing nothing, You, as a Mom, know that all too well, I would imagine. Hi John, you are so right,it is very hard to just do nothing because sooner or later one of the kids will need something. I like it when my husband is off too then he does all the running around for them! It sure does!I do feel better and more enthusiastic! You must try the sweet potato bread, it’s really very good.